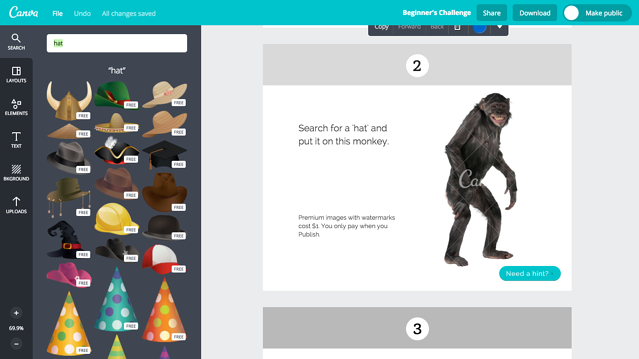 It’s really hard to compare onboarding processes for different products. 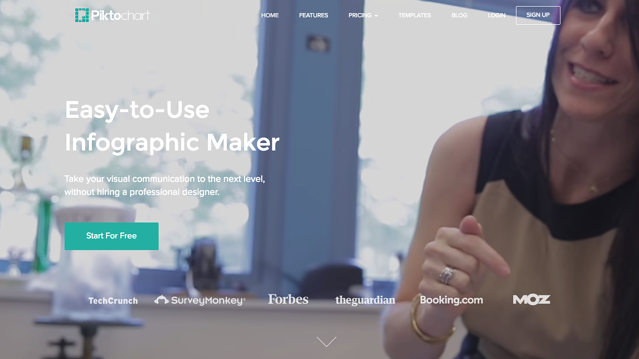 After all, every tool has a different function, a different audience, and a different interface. 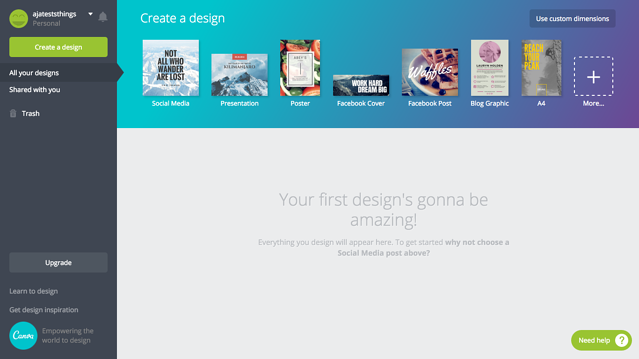 If the first run experience for Canva was nearly identical to the first run experience for, say, Typeform—well, something would be dangerously wrong with one or both of those experiences. 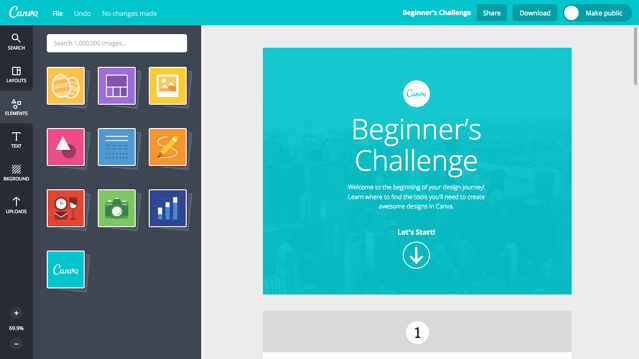 Without further ado, let’s take a look at Canva and Piktochart’s onboarding flow designs and see how they stack up. 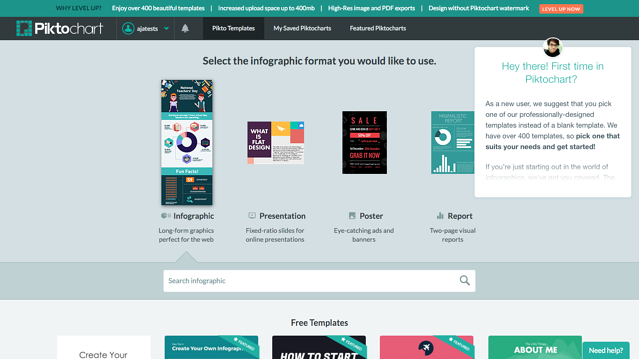 When it comes to their homepage—the launching point for their onboarding ux—Canva and Piktochart took extremely different approaches. 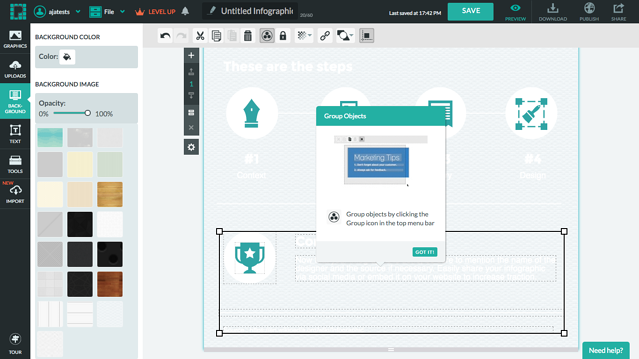 This means users are driven toward one action: signing up. 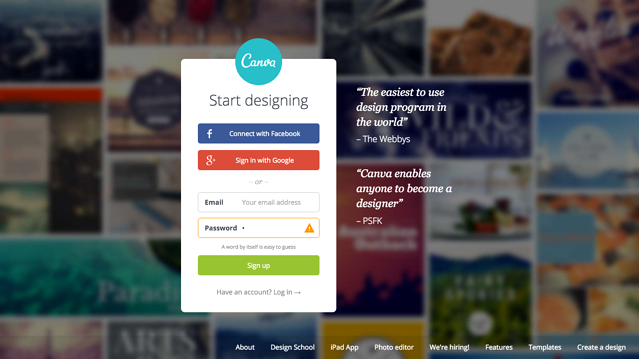 And because Canva lets you do so with Facebook or Google, there’s little friction. 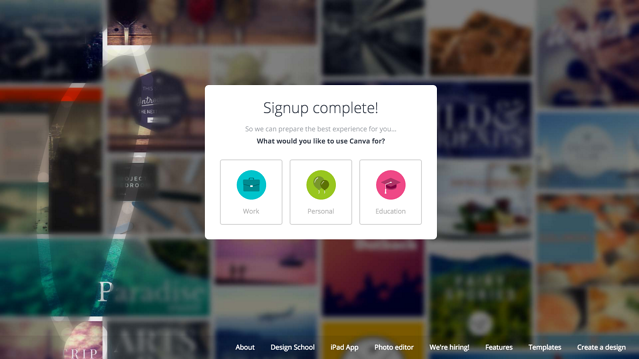 Even if you choose to manually enter your email, Canva doesn’t require you to open a confirmation email or enter your password twice. But this is actually a wasted opportunity—I experimented by choosing all three options, and each onboarding ux process was exactly the same. 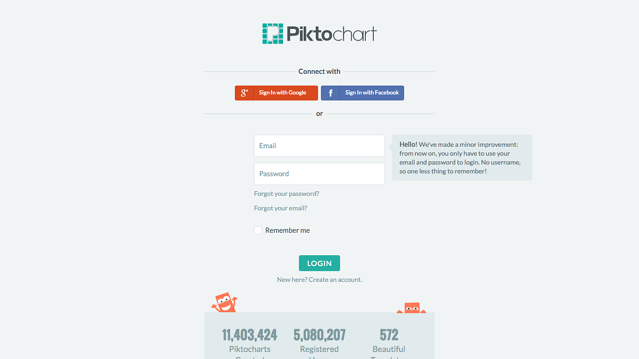 With Piktochart's onboarding ux, on the other hand, you’re immediately working on an actual design. There’s a nifty overlay showing you what’s where; the only problem with this strategy is that once you close it, the reference is permanently gone. 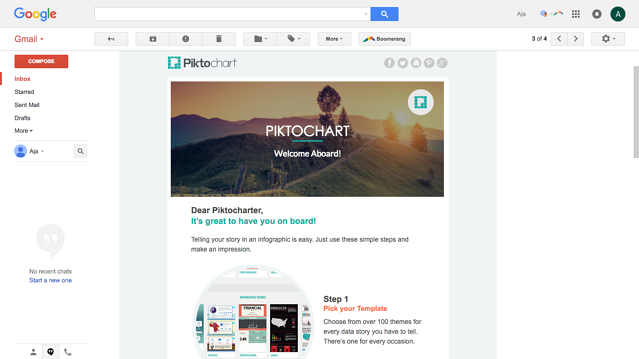 True to form, Piktochart’s welcome email was much longer and more ornate. 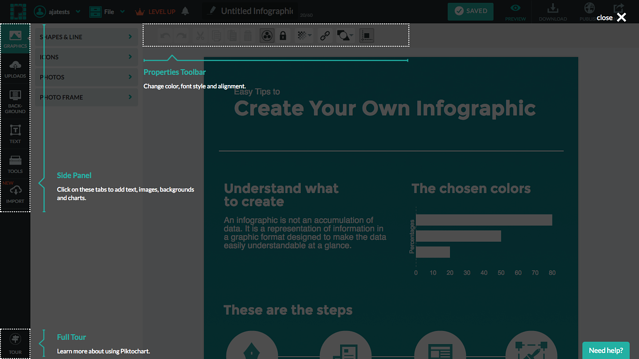 Unlike Canva’s, it does a fantastic job summarizing the creation process and highlighting the core function. 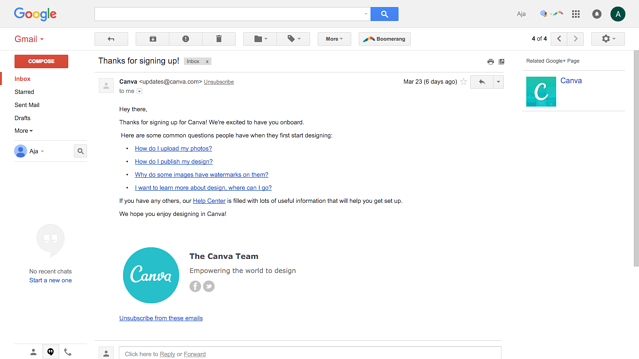 A day after the first email in their onboarding ux, Canva sends another. 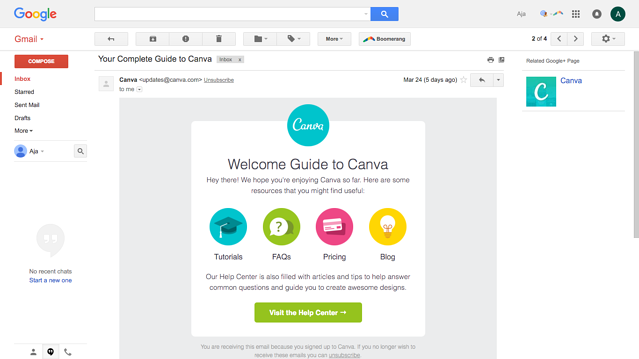 Bizarrely, this email was very similar to the first—basically, it nudges you toward helpful resources. 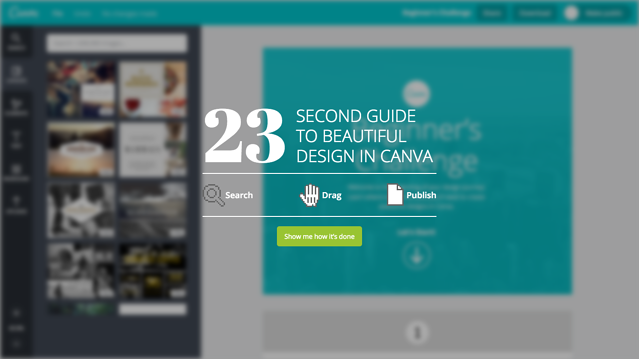 But you probably don’t want to visit the blog or pricing page before you’ve logged in and made another design. 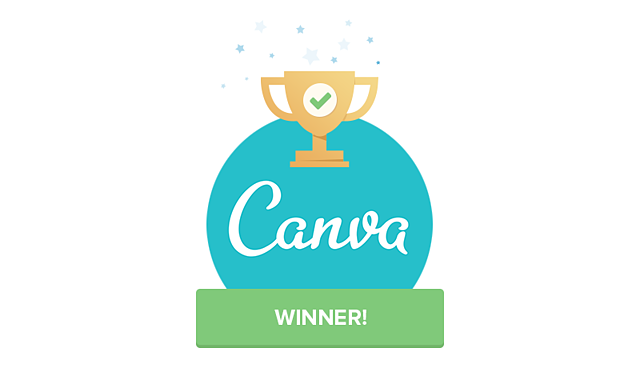 As you can see, Canva beat Piktochart four to two in their onboarding ux. 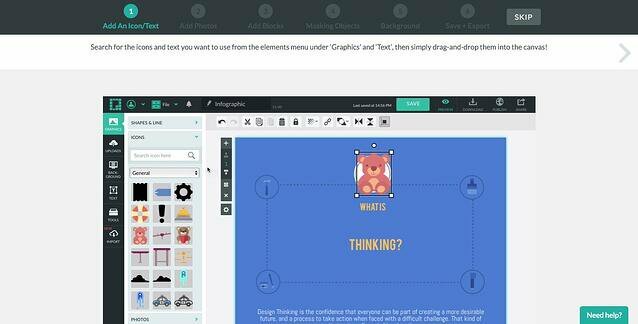 Canva did an impressive job of involving the user in the learning process—not just telling her what to do. 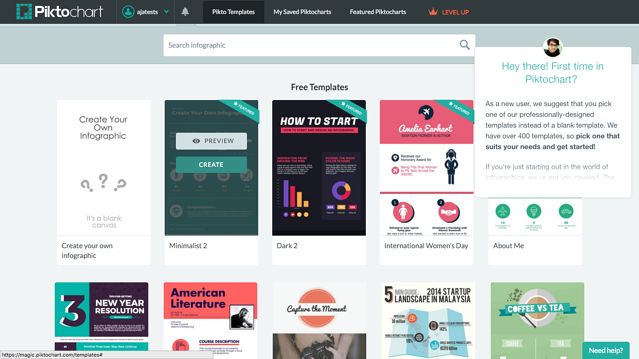 In addition, Canva’s first run was quite manageable, but not so easy you felt like it’d glossed over any main features.